This station is just a small shelter, but it does appear to be relatively new. 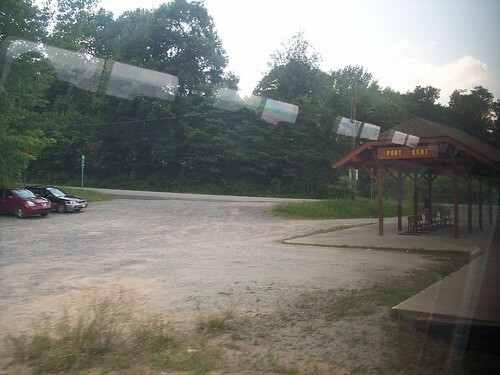 Trains only stop here during seasons when the Lake Champlain ferry is running. 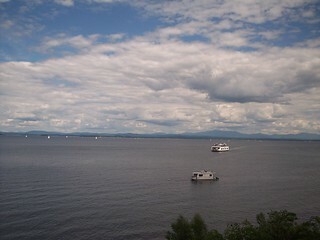 The ferry from Vermont approaches after crossing Lake Champlain.